I couldn't decide which colours to use so I did two different versions of the same card: one in cool blues and the other in more traditional Christmas colours - with a little bit of bling thrown in! 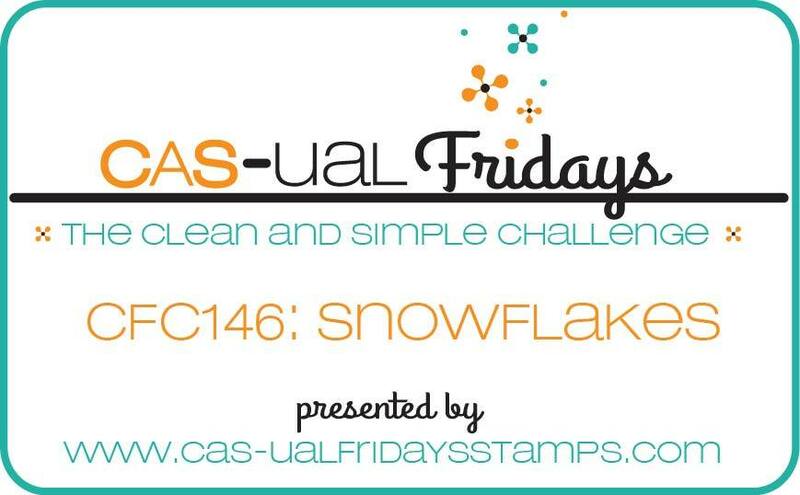 For these cards I used Snowflake Greetings - which you can find here at the CAS-ual Fridays store. 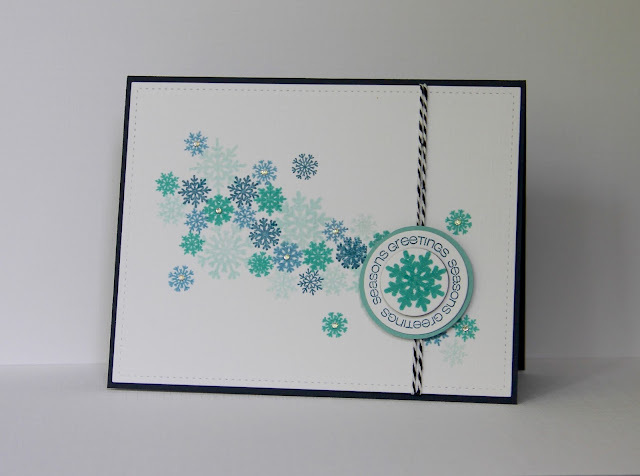 Did you know, those larger snowflakes are the perfect fit for a 1 inch circle die? 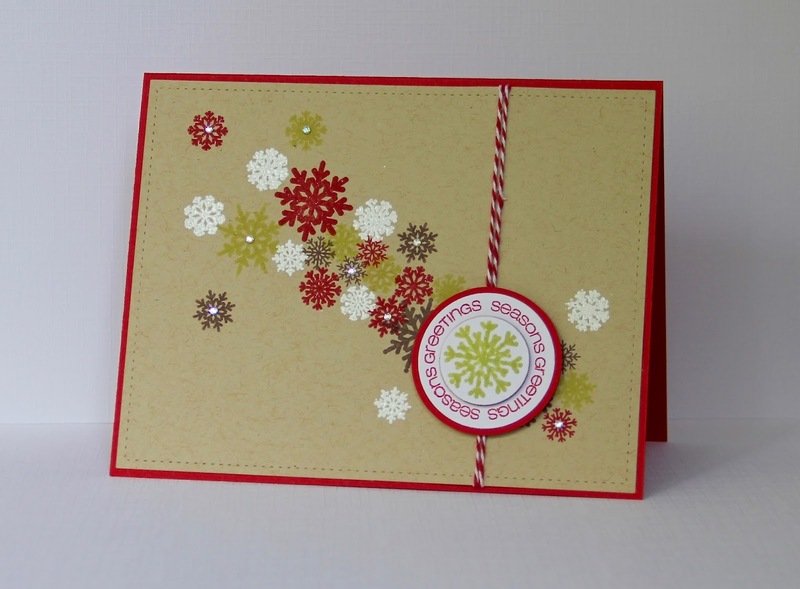 And that you can also use your die to cut a hole in the middle of the circular greeting? They were so quick and easy to make these cards, that I ended up making a whole batch of them for family and friends. Since my cards fit in with the theme over at Time Out I'm going to link up with their challenge based on this quote: Snowflakes are Winter's Butterflies. So, are you ready to get inky again for our final challenge of 2015? You need to get your Winter skates on - this challenge is for two weeks only and will end on 18th December at 6pm Eastern time. 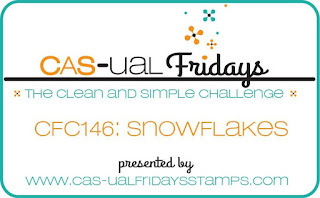 For those of you who like a few more layers on your cards, head on over to our other challenge site for the CAS-ual Fridays CAS-ual Chic challenge! I love them both Claire! Always amazed about the way different colors can create different vibes! I love both of your beautiful snowflake cards. Thanks so much for playing along at Time Out.